Hey guys! 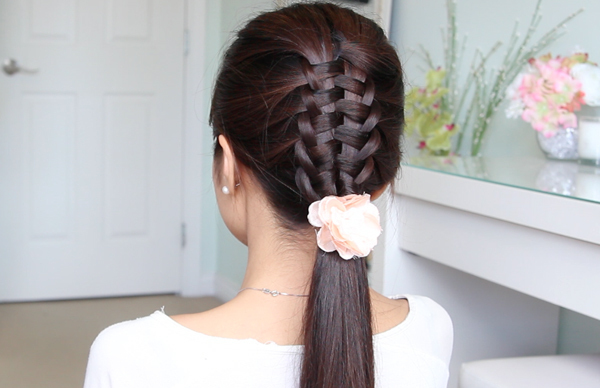 For today’s hair tutorial, I will show you how to do a Zipper Braid / Suspended Infinity Braid on yourself. There are many braiding techniques that you can use to get this “zipper” design and this one is the easiest if you’re doing it on yourself. 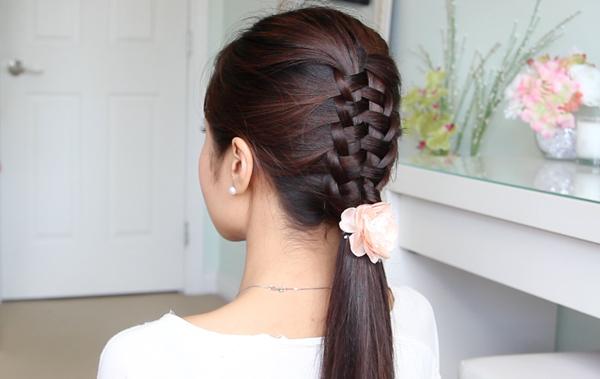 ^_^ Like this post for more easy or braided hairstyles and keep the requests coming! Occasion: School and work but you can dress it up for Proms, weddings, bridal, graduation, etc because it’s a nice detail for an updos. 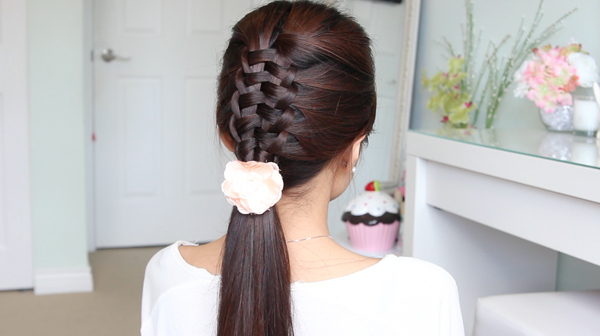 This braided hairstyle can be done on straight or wavy hair. You can wear it casually to work and school or even dress is up for prom and weddings! Just curl the ponytail and add some volume to the crown of your head. 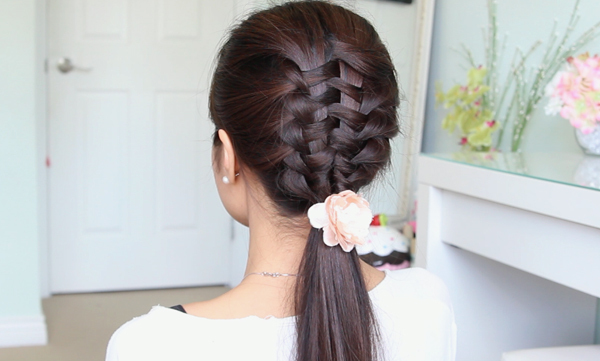 It works best on medium to long hair and if you have short hair, you can always wear clip-in hair extensions.